She's so pretty! In a shapely diecut, floral crown and gold foil highlights. 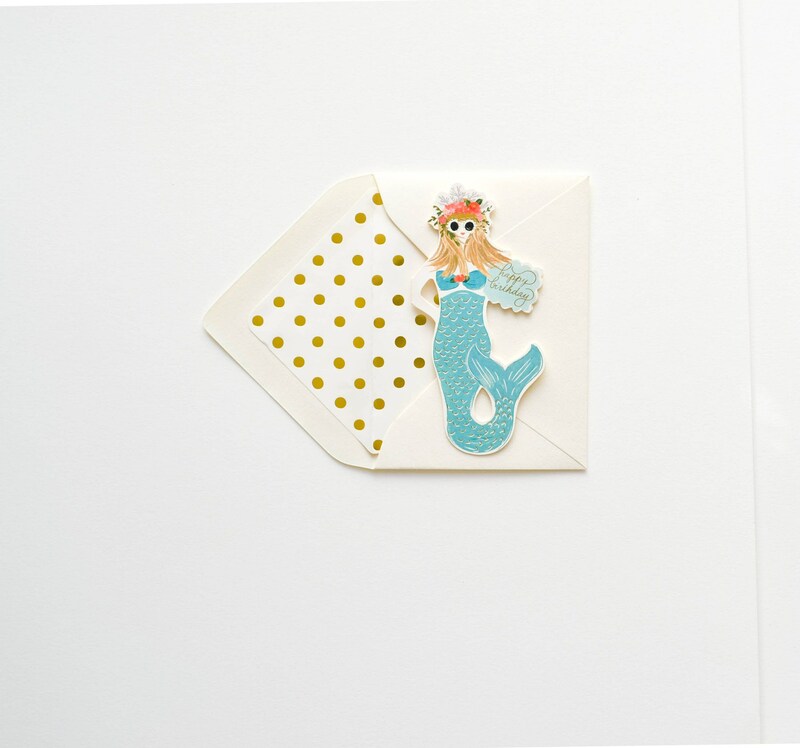 She has her scales, crown stars and Happy Birthday text adorned in gold foil. She fits perfect into her matching dotted liner envelope.